If you notice mice or signs of mice in your home, vehicle, or workplace, you’ll need to prepare and implement an eradication plan. While it may be tempting to coexist, a mouse infestation can be dangerous for your family and your pets. First, a mouse is an animal, and animals bite and scratch, especially if they feel threatened. Second, mice carry diseases that humans and other animals can contract. We’ve covered the viruses and bacteria mice carry in our post, “Do Mice Carry Diseases?” They also indirectly transmit other illnesses through ticks and fleas. In addition, mice can wreak havoc on a home. They contaminate food and chew wood, particle board, insulation, wiring, etc. They can even spark fires by damaging electrical wires. Here, we’ll go over how to tell if you have a mouse infestation, how to identify the type(s) of a mouse, how to get rid of mice in the house, and when to call the professionals. Poop. Mice poop a lot. You may find their droppings in several different places, including near food or in sheltered out-of-the-way places like pipes or the space behind furniture. You can learn to identify mouse poop in our article “What to Do If You Find Mouse Droppings”. In it, we also tell you how to clean up mouse feces. The link between mouse droppings and disease is strong. Under no circumstances should you handle mouse poop with your bare hands. Bits and pieces of what they eat. Mice are omnivores, so crumbs, bits of fruit, and broken shells are some examples of the types of food waste you might find. Holes in food bags and boxes. Pet food left out overnight might disappear. Nests. You may find a nest tucked away behind some furniture or notice nesting materials (e.g., paper or fabric scraps) scattered around. Check out our “Mouse Nest Identification” article to learn more about mouse nests in the house. If you have a mouse infestation, it is likely a house mouse (Mus musculus) infestation. Not only is the house mouse the most common mouse pest, but it is also considered the most common mammal worldwide. Adults are small (about 5 to 7 inches long and ½ to 1 oz in weight) with large slightly furred ears, small black eyes, pointed noses, and scaly, 3- to 4-inch tapered tails. Their fur ranges from light brown to gray or even black and their undersides are white or buff-colored. Their feces are about 1/8 to ¼ inch long, thin, and tapered at both ends. They look like tiny brown grains of rice. House mice are highly associated with humans. Their typical habitat is man-made structures such as homes, farms, and commercial buildings followed by agricultural fields. When they live separately from people, they are found in forests or grasslands with mild climates. Mice breed starting when they’re around 6 weeks old. After an approximately 3-week gestation period, a female mouse has a litter of about 3 to 12 pups. Over the course of their lifetime (up to 1 year), a female mouse can have 10 litters. House mice are carriers of some very dangerous bacteria, such as Salmonella, E. coli, Shigella, and Clostridium difficile that cause gastrointestinal disorders. They also carry diseases such as lymphocytic choriomeningitis, leptospirosis, and have been known to contract the rat-bite fever. To learn more about these diseases, check out our articles, “Do Mice Carry Diseases?” and “Rat-Bite Fever: Symptoms and Treatment”. You may also encounter wood mice (also called field mice, Apodemis sylvaticus), yellow-necked field mice (A. flavicollis), striped field mice (A. agrarius), deer mice (Peromyscus maniculatus), and white-footed mice (P. leucopus). Wood/field mice are small, light brown mice with white or gray undersides and large back feet. You are more likely to see a wood mouse in your garden than inside your house though their primary habitat is wood- and grasslands. While A. sylvaticus and A. flavicolis are nocturnal, A. agrarius is diurnal and lives in a wide variety of habitats including forests, grasslands, marshes, gardens, and urban areas. Both the striped and yellow-necked field mice carry a virus that causes hemorrhagic fever. Deer mice, a common North American species, are light to dark brown with white undersides, legs, and feet. 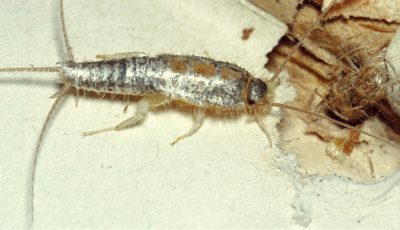 While their primary habitat is outdoors (i.e., forest, grassland, scrub, and agricultural fields), they are sometimes found in homes and abandoned buildings. The distinction between a deer mouse vs. a house mouse is very important as deer mice spread the disease hantavirus pulmonary syndrome. White-footed mice can be distinguished from deer mice by their larger bodies. They also carry the virus that causes hantavirus pulmonary syndrome. Rats are another household pest that you may encounter. You’re most likely to come across a Norway/brown rat (Rattus norvegicus) or a black rat (R. rattus). While rats and mice are both rodents, distinguishing adult rats and adult mice are easy. Rats are much bigger than mice. The Norway rat can grow to 18 inches long and weigh as much as 16 ounces. However, if you see a small brown creature running across your floor, you might not be able to tell if it’s a mouse or a young rat. There are some useful differences between the two types of rodent. Rats have more rounded snouts, while mouse noses are pointed. Where a mouse’s ears and tail typically have fur, rats have naked ears and tails. If you’re not sure if you have mice or if you are but don’t know how they’re getting in or where their nests are, you can use a biomarking bait. This is a non-toxic bait that attracts mice. When they eat it, they also consume a biomarker (a substance that attaches to feces and can be detected). Some biomarkers fluoresce under ultraviolet light. Others are simply brightly colored. They are especially useful in determining where mice are coming from, how they’re getting in, and where their nests are. They are also great in places you may not want to put rodenticides (e.g., in a home with pets or children, in a school, etc.). In addition, toxic baits can end up hurting other, beneficial wildlife. Some rodenticides don’t kill mice right away and they can end up poisoning a useful predator, such as an owl or hawk. Two very important aspects of dealing with a mice infestation are sanitation (cleaning) and exclusion (keeping them out). The first step is to make sure there’s no food available for them. Then patch up any holes they may be using to get in. If you don’t do these two things, you will be fighting mice forever. They’re not the only steps you need to take; these actions must be taken in conjunction with population reduction, such as traps or poisons. It is important to continue sanitation and exclusion behaviors even after the infestation has been eliminated. The best control is prevention. Keeping food debris to a minimum and making sure mice can’t get into your house are great preventive measures. Once you’ve de-moused your house, you’re not going to want to do it again. One of the most important things you can do is to clean up. A clean home is a great mouse deterrent. 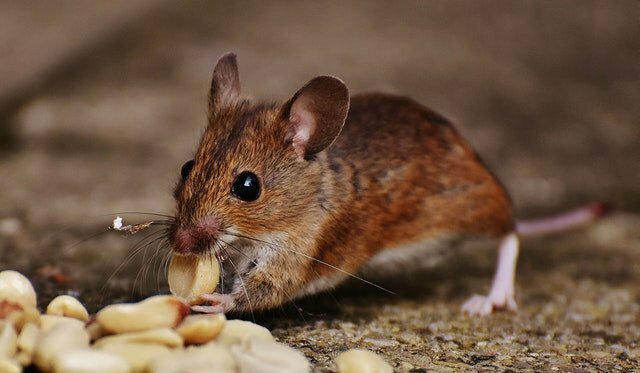 If mice don’t think they can find food in or around your house, they’re unlikely to come in. Don’t leave crumbs and other food debris on the floor or your kitchen counters. Throw your food scraps away in a covered trash can. Don’t leave dirty dishes until the next day. Store food in high places and in airtight containers. This includes pet food. Feed your pet only what they’ll eat in one sitting and put away any leftover food as soon as your pet is done eating. To avoid mice, you’ll have to train your pet to eat at mealtimes instead of grazing all day. When you encounter mouse feces, clean them up. However, do not sweep or vacuum them as this can cause the infectious viruses and bacteria in the droppings to become airborne. Keep the area around your house free of debris and edible scraps. Don’t keep wood piles right next to your house. Regularly clean your outbuildings; they make good nesting places. If mice are living near your house, it’s much easier for them to get in and more likely that they will. Don’t keep bird feeders filled until your mouse infestation is under control. If you keep livestock feed or grass seed, either store them in covered bins or keep the bags away from walls and stacked on top of pallets. It’s best to keep bagged food more than 12 inches off the ground. Mice can jump up to a foot high. Much like indoor trash cans, outside bins must have lids, preferable tight-fitting lids that can’t easily be blown off or knocked off. If you compost, keep it away from your house. It’s best to have closed compost, but if you have an open heap, regularly turn it to bury fresh food scraps. Next, we’ll tell you how to keep mice away. To make sure they can’t get in, block any possible entrance points. Mice can use very tiny holes. The limiting factor is their head; if they can get that in, the rest of their body will follow. This means even a hole the size of a pencil (2 cm) is enough. This is a good time to make use of the evidence you can collect from biomarking baits. Focus on the marked droppings and work your way back to an entrance point. When you find a mouse door, shut it. The best materials for closing up mouse holes are sheet metal, hardware cloth, steel wool, or stainless steel or copper mesh. Make sure to use fine mesh: 1 mm at most. Though it’s tempting, caulk will not be enough. Mice can chew through most plastic- or rubber-type materials, so you’ll need something made of metal. Install gap fillers around doors and windows and ensure they close tightly. Fill in holes around wiring or pipes. For chimneys, use ¼-inch wire mesh. Fill in holes in your foundation with concrete. If you’re not sure where the gaps are, pick a night and have a friend or family member shine a flashlight around the inside walls of your basement or any crawl spaces while you walk around the outside. Anywhere you see light coming out is a potential rodent entrance. Fill those in. Patch up any leaking pipes. Mice also seek out water and can make due with small puddles. Once you’ve made your home unattractive to mice and blocked up any entranceways, it’s time to get down to the business of removing them. The two most common and effective means of mice control are traps and poisons. Traps come in many varieties, all of which stop mice from moving about your home, either by killing them or simply capturing them. The only purpose of poisons is to kill, and they do a very good job, though this makes them hazardous to humans and other animals as well. You may also run across devices and substances that purport to be mouse deterrents, such as machines that emit ultrasonic sounds, magnetic fields, or vibrations or repellent sprays and peppermint oil. However, these are all ineffective. If you’re wondering how to catch a mouse, there are several types of traps available. Mouse traps are best for small infestations (especially in homes and garages) and in places with children or pets (no poison). Make sure, however, that they’re out of the reach of children and pets. For example, build a box over the trap with a mouse-sized hole so that the mouse can get in, but no curious kids or pets will be able to reach the trap and become injured. Another advantage of traps is that you know when the trap has worked, and you know where the mouse is, so you can easily dispose of it. Many poisons don’t work immediately, and you won’t know where the dead mouse is until you start to smell it. Even then, you may not be able to get to it and you’ll just have to smell decomposing mouse for a while. If you want to know how to get rid of mice in the walls, at least for small infestations, the answer is traps over poisons. We’ll help you choose the best mouse trap for you. Placement is important. Since mice don’t venture far from their nests to find food (10 to 50 feet) and prefer to travel along walls, the best trap placement is against a wall near signs of mouse activity. Put the trigger end against the wall so mice will walk right over it. Other places to set traps include behind furniture and in other dark, sheltered areas. Place several traps and move them daily, especially if you’re not catching any mice. Leave traps unset until mice have taken the bait at least once to prevent fear. While bait is not necessary, you can use peanut butter, candy, fruit, bacon, sandwich meat, vanilla extract, or cotton balls. If you’re using a food bait, use very little to prevent an insect infestation. 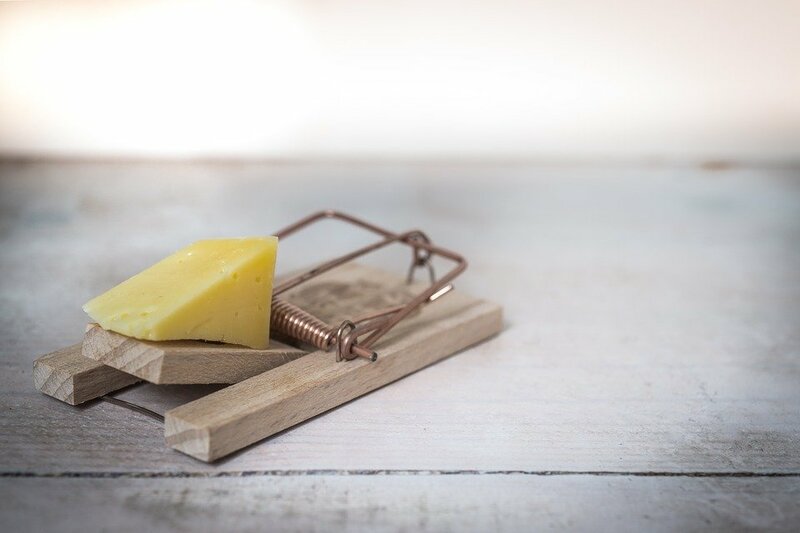 Peanut butter can be the best bait for a mouse trap as it is easy to place and has a strong smell. Refer to the directions on the packaging to learn how to set a mousetrap; it is different for each type and brand. Once you’ve successfully caught a mouse in your trap, dispose of it. First, spray the dead mouse with disinfectant or a bleach/water mixture and let it soak for 5 minutes. Don’t touch it with your bare hands; use rubber gloves or tongs. There are a few ways to dispose of a dead mouse, including burying it, burning it, or wrapping it in a plastic bag and putting it in a garbage bin with a tight-fitting lid. If you’ve caught a live mouse, you should humanely kill it. While it may be tempting to release live mice, they will probably die anyway and they have a great sense of direction even when obstacles bar their way. They might show up back at your doorstep. This is one reason that it’s so important to make sure they can’t get back in. Some wild mice, such as deer mice and white-footed mice, can be let go at least 1 mile from where they were caught. After dealing with the trapped mouse, clean the trap with a disinfectant or bleach/water mixture and reset it. Mouse snap traps are a simple but effective mouse-killing device. They’re not expensive and you can buy them from most hardware stores and supermarkets. They are made of wood, metal, and/or plastic. These are mouse traps that work in a pretty simple way: a mouse takes the bait and/or releases the trigger and a metal bar or plastic jaw snaps down over its head and neck, killing it instantly. Snap traps are a humane killing option and the plastic ones are very easy to clean. No matter what they’re made of, though, they all work just as effectively. What’s more important than material is placement. Keep the above placement advice in mind when setting snap traps (and any traps, for that matter). Up against the wall in mouse activity areas is the best. If baiting, snap traps are best baited with a small spread of peanut butter and triggers set lightly. Mice are small; you want to make sure the trigger engages. Snap traps have been around since the 1800s, and for good reason: they are very effective. Over the years, mice have begun to develop resistance to some poisons, but snap traps continue to take them out. Mice are naturally curious and will investigate new arrivals to their habitat. If you remove dead mice quickly, clean your traps regularly, and move them every few days, mice are unlikely to become wary of them. However, the disadvantage of snap traps is that you have to see and dispose of a mangled mouse corpse. They are not for the squeamish. As mentioned, they can be baited and should be placed along walls. They do pose a threat to other animals, including pets, children, and beneficial wildlife. The box method mentioned above is the best way to prevent unintended injury or death. Electric mouse traps are another humane option and probably the best mouse killer. They are battery-powered boxes with an electrified plate inside. When a mouse walks into the box, it steps on the plate and is immediately electrocuted. Rather than having to look at and handle a dead mouse, a little light on the box flashes to let you know the trap has been tripped and you can just dump the mouse out without ever having to interact with it. It’s a cleaner option than a snap trap because you don’t have to touch the mouse. You should still wear gloves just to be safe, though. Electric traps are some of the best mouse traps for homes with pets or children because they’re a closed-off box. Unfortunately, they’re more expensive than snap traps. You also need to be sure the batteries are always charged. They become less humane when the shock doesn’t kill the mouse. Placement is the same as for snap traps. Similarly, it’s advised to set several since they each can only hold one mouse at a time. Killing one mouse per day will not control an infestation. Of course, this considerably raises the cost of population control, but if you’re squeamish, this is your best lethal option. Even though it’s a cleaner option than a snap trap, you should still clean your electric traps before resetting them. 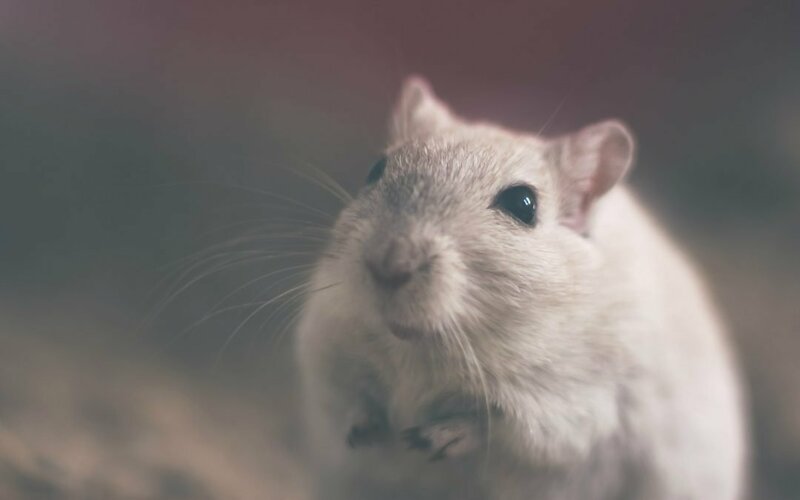 Some viruses and bacteria carried by mice can be shed in their fur and saliva, and you don’t want to risk them ending up airborne and/or settling in a water glass someone left out. If you place your electric traps outdoors, just know that you may catch a non-target animal, such as a bird or a chipmunk. If you want to protect other wildlife, it’s best to only set mouse traps indoors. Mouse glue traps or glue boards are boards coated in a very sticky substance designed to trap and immobilize mice that try to walk across them. These devices are not a humane option and have several other drawbacks as well. They kill mice slowly and sometimes not at all. Mice that become trapped usually either die from starvation or cardiac arrest or chew their own limbs off to get free. If you find a live mouse stuck to a glue board, the best thing to do is to kill it humanely and thereby prevent further suffering. The most humane methods of euthanizing mice are a sharp blow to the base of the skull or asphyxiation with carbon dioxide. Excessive dust makes glue traps less sticky (and thus less effective). Extreme temperatures can also have a negative effect on their usefulness. Furthermore, they don’t work well for large mice, which can sometimes free themselves without having to lose a leg. Sticky mouse traps should not be used for deer mouse infestations as mice caught in glue traps are both frightened and stuck there for a long time, so they tend to urinate and defecate. Some diseases spread by mice, including hantavirus pulmonary syndrome, are transmitted by urine and feces. Thus, glue traps increase the potential for virus transmission. Glue boards are also not recommended for homes with pets or children. They are very sticky and can trap a small pet or become stuck in an animal’s fur or a child’s hair. They can stick to and ruin clothing or favorite toys. They also shouldn’t be used outdoors where wildlife could become stuck. If, however, a non-target animal does become trapped, you can typically use vegetable oil to release them. Live traps are often considered more humane than snap traps or electric traps. These are boxes (made of cardboard, wood, plastic, or metal) that close behind a mouse, trapping it without killing it (and often without injuring it). They operate via one-way doors, spring-loaded doors, elaborate automatically-plugged holes, or simple trap doors. You can even create your own homemade mouse trap with an overturned box propped up with a stick. Another homemade option is a bucket mouse trap, made with a bucket, a soda can, a metal dowel, a short wooden board, and some peanut butter (again, likely the best bait for mice). Simply drill small holes on opposite sides of the bucket (near the top) as well as on the top and bottom of the soda can. Use the dowel to hang the soda can across the opening of the bucket, spread peanut butter on it, and prop the board against the bucket like a ramp. When a mouse runs up the board, it will jump onto the soda can, which will spin around and dump the mouse into the bucket. Some live traps can catch several mice at a time before needing to be emptied and reset. 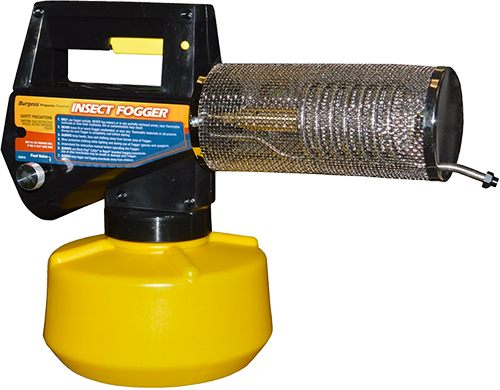 This means you can use fewer of them than single-kill traps, hopefully reducing the need for a large pest management budget. You should still check them at least daily and either move mice to a location at least 1 mile away or humanely kill them. Whichever method you choose to remove mice caught in a live trap, be sure to wear gloves and don’t get your fingers within their reach. Remember, you can get diseases from mice. Bites and scratches are some of the ways viruses and bacteria are transmitted from mice to humans. One of the advantages of humane traps is that, because many are enclosed boxes, they are unlikely to pose a danger to kids and pets. However, if employed outdoors, other animals can be accidentally captured. Unlike killing traps, though, any non-target animals can easily be set free. Just be sure to check your traps daily to prevent animals from starving to death or dying of exposure. As with glue traps, live traps should not be used for deer mouse infestations. It’s very likely that mice will pee and poop all over the inside of the trap. Rodent poisons, or rodenticides, are another way to deal with a mouse infestation. They are usually combined with food in a bait station. All types of mouse poisons are dangerous for humans and other animals. Keep in mind, there is no such thing as a pet-safe mouse poison. There are several types that vary in their active ingredients, dosage, and best use. The biggest distinction between rodenticides is anticoagulant vs non-anticoagulant poisons. Single-dose and multiple-dose were once used to distinguish rodenticides, but these distinctions aren’t sufficient for modern poisons. Anticoagulant poisons thin the blood, causing fatal internal bleeding. 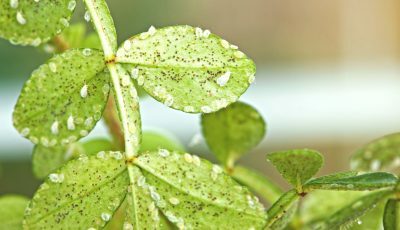 They all work the same way: by preventing an enzyme from recovering vitamin K. Vitamin K promotes blood clotting. Without it, mammals and birds bleed out internally. 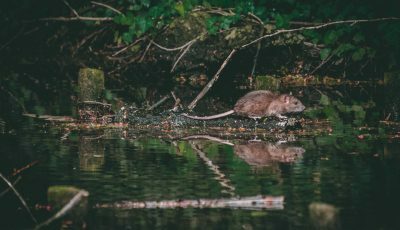 Anticoagulant rodenticides are present in commercial baits at low levels to prevent mice from becoming wary of the bait station. Low levels mean that there is little bad taste and they don’t act immediately. Anticoagulant poisons are further divided into first generation and second generation formulations. First generation rodenticides are older (pre-1970s) and take several days and multiple doses to be effective. Second generation rodenticides, on the other hand, were more recently formulated (1970s and later) and can kill after just one dose, though some require multiple feedings. In terms of killing power, second-generation rodenticides are probably the best mouse poison. However, because of the severe dangers they pose to other animals, they are far from the best all-around mouse poison. Non-anticoagulant poisons work in a few different ways; it’s more of an “other” category than a unifying category like anticoagulant. They act on different organ systems to varying effect. Poisons are less work than traps in that you don’t have to check and reset them daily. They’re best for severe infestations when traps just aren’t cutting it. However, they don’t act immediately, so mice have time to return to their hiding places before they die. This means that it may be difficult to find and remove dead mice. Rodenticides are typically sold to the general public at grocery, garden, hardware, and feed stores as prepared, contained bait stations. Many are tamper-resistant to protect children and pets. Some can only be lawfully used indoors to protect nontarget wildlife. Others are permitted for use outdoors, but only if they are within 50 feet of a structure. Stronger rodenticides are also sold specifically for agricultural providers or pest control companies. Several baits should be placed close together (within 6 feet) in places where mice are active. As baits are generally sold prepackaged into stations, follow the package instructions for amounts and best placement. Typically, ½-1 oz. should be enough for each placement. Make sure they are out of the reach of children and pets. If you have mice living in stacked feed bags, place baits at each level of the stack. In barns and other livestock enclosures, ensure that baits are far from feeding stations and cannot be accessed by livestock. As mentioned above, there are two broad categories of rodenticides, anticoagulant and non-anticoagulant. Various rodenticides with different active ingredients (the poison itself) fall into each category. Here, we’ll cover the major active ingredients in modern rodenticides. Anticoagulant active ingredients are chlorophacinone, diphacinone, warfarin, brodifacoum, bromadiolone, difethialone, and difenacoum. These types of rodenticides pose a danger to wildlife and pets via both primary (direct ingestion of poison) and secondary (ingestion of poisoned prey) poisoning. Symptoms of anticoagulant poisoning include depression, anorexia, weakness, fatigue, limping, swollen joints, coughing/wheezing, bulging eyes, bleeding from the mouth or nose, and pale soft tissues and mucous membranes. Dogs sometimes don’t show any outward symptoms before death. Households that keep and use anticoagulant rodenticides should keep vitamin K1 on hand to administer in suspected accidental poisonings (both people and pets). If you think you or a family member has been exposed to the poison, a hospital visit is in order. If you’re concerned about a pet, take it to the vet immediately. There is a delay period before effects become severe, but anticoagulant poisoning can be fatal in many animals, including dogs, cats, and pigs. In severe cases, blood transfusions may be necessary. Chlorophacinone is a first-generation rodenticide (fatal only after multiple doses) that is highly toxic to mice. It is slightly dangerous for birds and highly dangerous for non-target mammals. Diphacinone is also a first-generation poison. It is highly toxic and poses a moderate risk for birds and a high risk for mammals. Warfarin, part of the first generation, has been used the longest of any anticoagulant rodenticide, approved for use in 1950. It reigned supreme in the world of rodent poisons until several rodents began to develop resistance to it and it became necessary to formulate new poisons. Due to the development of resistance, it is moderately to highly toxic to mice, depending on the population. The advantage of warfarin over other anticoagulants is that it poses a low risk to both birds and non-target mammals. Brodifacoum is a second-generation rodenticide, effective after a single dose. As of 2008, the Environmental Protection Agency (EPA) has declared second-generation rodenticides too dangerous to be commercially available. They can only be sold to professional pest management companies and sometimes agricultural providers. They are highly toxic to birds and mammals, even through secondary poisoning, and they remain in tissues longer than first-generation toxins. Furthermore, due to the delay in action, mice can build up very high levels of toxicity. Unfortunately, it took several years for the second-generation poisons already on the market to be sold off, meaning that many remain in use, including brodifacoum. Bromadiolone is a second-generation poison. It is highly toxic to mice and poses a moderate risk to both birds and other mammals. Difethialone belongs to the second generation and is highly toxic to mice and birds, though only moderately so to non-target mammals. Difenacoum is part of the second generation of rodenticides. It is highly toxic to both birds and mammals. Active ingredients in non-anticoagulant rodenticides include bromethalin, cholecalciferol, and zinc phosphide. They each have different modes of action. Bromethalin is a neurotoxin, meaning that it acts on the nervous system, causing swelling of the brain and spinal cord. It leads to paralysis and death and is highly toxic in mice after a single dose. Symptoms include tremors, seizures, sensitivity to light and noise, loss of sensation and control in limbs, nausea, anorexia, and confusion. It can lead to coma. Fortunately, it presents a low risk to birds and non-target mammals. Cholecalciferol is another name for vitamin D3. At very low concentrations, it is a nutritional supplement. However, at high levels and/or after multiple doses, it leads to hypercalcemia (calcium overdose), which causes hardening of internal organs, kidney failure, heart problems, high blood pressure, nervous system disorder, anorexia, vomiting, diarrhea, and fatigue. It is highly toxic to mice and can persist in the system, causing long-term problems in people and other animals, although it poses a low risk to these groups. Zinc phosphide primarily acts on the stomach, where it combines with the acid to produce phosphine gas. However, if it is ingested on an empty stomach, it can be absorbed into other organs, causing liver and/or kidney failure and damage to the brain and lungs. It is highly toxic in mice and can be fatal after a single dose. It poses a low risk to birds and a slightly higher risk to mammals. It poses a greater risk to livestock than pets due to the form in which it is sold, which looks indistinguishable from many livestock feeds. It leads to vomiting (often with blood), anxiety, weakness, difficulty standing, breathing problems, convulsions, chills, coughing, and delirium. It can lead to coma and death. Anticoagulants and zinc phosphide are also used in tracking powder for mice. This is a toxic powder that you scatter on the floor. As mice walk over a patch, they pick up the powder on their feet and in their fur and consume it when grooming. Tracking powders all but eliminate problems associated with populations that won’t accept bait. However, they are often highly concentrated and should never be used in an area where people or other animals could come in contact with them. Commercially-available baits come in two varieties: mouse poison blocks and poison paste. These are typically sold as prepackaged bait stations: boxes or other enclosures made of cardboard, plastic, or metal that contain bait and that mice can enter or otherwise feed from. Mouse poison pellets and loose grain meal used to be sold before the EPA changed their regulations in 2008. There are four types of mouse bait stations sold to the public. Tier 1 stations are resistant to tampering by both children and pets and are also weather-resistant. Thus, they can be used outdoors within 50 feet of a structure. Tier 2 stations are tamper-resistant but not weather-resistant, so they are only suitable for use indoors. Tier 3 stations only resist tampering by children, so should be kept away from pets or not used in homes with pets. Finally, tier 4 bait stations are not tamper-resistant at all. You may be able to make your own bait stations by placing ½ oz. (14 g) of bait into a box, bag, or even a piece of pipe. If you use additional food as an attractant, make sure to use fresh ingredients. Mice don’t like stale food, either. Grass seeds, oatmeal, wheat, and barley are all attractive to mice. Probably the best mouse bait is the types of food they’ve been stealing from you. They’re more likely to eat food they’ve gotten used to. Bait stations should be placed no more than 6 feet apart in suspected mouse activity areas. Due to the small home range of mice, they should not be placed more than 50 feet from a likely nesting area. Like traps, they should be set against walls. Don’t put them near your own or your pets’ food or in areas where they can easily be knocked over by people or animals. For buildings with entrances that can’t be blocked (e.g., barns), place approved bait stations around the perimeter. Make sure to regularly check your bait stations. If they become low, stale, moldy, or insect-ridden, replace or refill them. Tamper-resistant bait stations cannot be refilled and must be replaced. At the beginning of a population control regimen, check the bait stations daily. When you notice feeding dropping off (more left over each day), you can check them every 2 to 4 weeks. Build and/or place bait stations such that multiple mice can feed on them at one time. If you use boxed bait stations, ensure that there are 1-inch entrances at either end, and neither is blocked. As mentioned, rodenticides pose a danger to humans and other animals, through both primary and secondary poisoning. Some pose a greater risk than others, so your first choice must be which active ingredient is best for your situation. If you live somewhere with lots of wildlife, choose a poison that poses a low risk for birds and other mammals. The same is true if you have children and/or pets. The next thing to do is to choose the correct tier of bait station for your home. Do you need the greatest tamper resistance provided by tier 1 stations, or will a tier 3 or 4 be safe for your household? Follow package directions to the letter and store any bait or stations you’re not currently using out of the reach of children and pets (preferably locked away). If you have loose block or paste baits that you intend to place, and you live with or near animals and/or children, be sure to create the most tamper-resistant station you can. Or better yet, buy a pre-made bait station. Sure, they come with bait already in them, but once that bait runs out, you can use the baits you already have. Clearly label your bait stations so that any people who come across them know they are dangerous. Avoid placing non-tamper-resistant bait stations in places where wildlife can gain easy access to them. Do your best to find and dispose of all dead mice to prevent secondary poisoning of predators such as hawks, owls, coyotes, foxes, and snakes. Dispose of any left-over bait and used stations according to package directions. This may require a call or trip to your local hazardous waste disposal facility. If that is the case, don’t take the recommendations lightly. Rodenticides are toxic substances that can kill or permanently damage humans and other animals. Whatever you do, don’t dump it down the drain. Again, these are poisons. If they end up in the groundwater, they can have damaging effects on your local environment. Mouse traps + poison baits? You may be wondering if you can use both mouse traps and bait stations together, at the same time. The answer is yes. It is actually recommended that when poisons are necessary, some type of trap also be placed. This provides better, more comprehensive control and ensures that the greatest number of mice are eliminated. This type of comprehensive control is called integrated pest management (IPM) and also includes the use of biomarking baits as an early step (following sanitation and in conjunction with exclusion). The combination of traps and poisons can be especially effective for long-term control as mouse populations can develop resistance to anticoagulant baits, while traps will continue to catch them. It also helps prevent excessive wariness within the population. If there are multiple types of control measure that keep moving around, they can’t become accustomed to one danger in one place. Several other products and strategies are marketed or suggested for use in mouse control that are simply not effective. One such product is the ultrasonic mouse repellent, an electronic mice repellent that produces sound above human hearing. However, the sound waves don’t pass through walls and their intensity rapidly falls off with distance. Thus, they often don’t reach mice. Furthermore, mice are afraid of sudden loud noises and new sounds but can become used to persistent noise. Even if an ultrasonic device initially frightens mice, they will soon become accustomed to it and it will have no effect. Devices that emit a magnetic field or vibrations also don’t work. Some people set out mothballs for mice repellents. However, they are ineffective at keeping mice away and can lead to negative health effects in both people and pets. 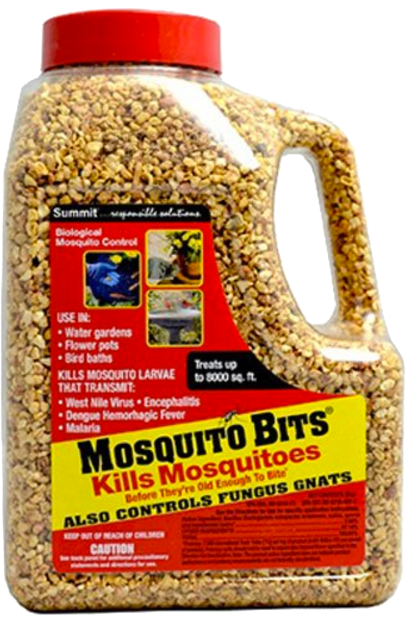 They are formulated for use in small, airtight containers, where the gases they release kill moths and moth eggs. When they are placed out in the open, people and other animals can breathe in dangerous gases and become ill.
Don’t bother with mouse repellent sprays, either. They are not regulated by the EPA or any other organization, meaning there are no rules concerning what goes into them or how (or if) they should be tested. There have been no studies on their efficacy. As with ultrasonic devices, mice can become accustomed to whatever strange smell the spray has. They can also just move to a different area in your house. They are unlikely to leave because the alternative is roughing it outside and they probably have a nest full of babies to take care of. Peppermint oil is also not an effective mouse repellent. While a strong smell is associated with peppermint oil, mice can get used to smells, even ones they initially dislike. In addition, fumes rise, so the only animals smelling peppermint oil for any extended period of time will be you and your family. The only natural mouse repellent is a clean home. Many people also believe that the presence of predators, such as dogs and cats, will be enough to reduce existing populations or deter new colonists. However, even though some dogs and cats do hunt mice, they don’t kill enough to control a mouse infestation. 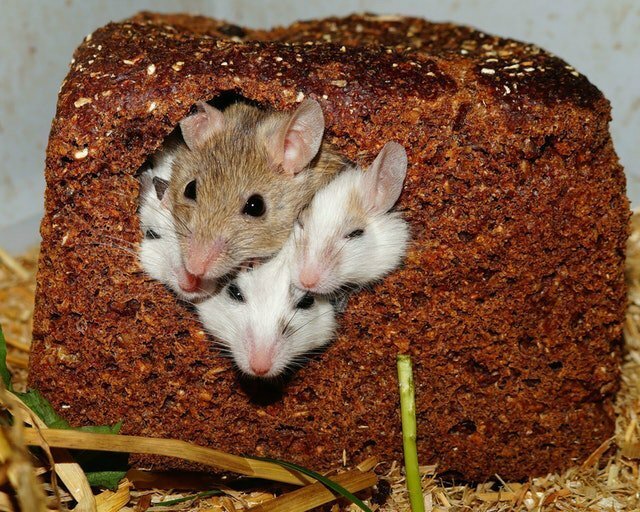 Mice are very good at hiding and building nests where cats and dogs can’t get to them. In fact, in some suburbs and cities, mice live off dog and cat food, even taking up residence under dog houses. In some situations, large farm cat populations can help prevent future mouse infestations but are unable to decimate an existing one. Severe rodent infestations will require mice exterminators. If you have followed all the advice contained in this article and still haven’t been successful, call in the experts. Not only are they trained for such situations, but they have access to stronger poisons and additional resources that just aren’t available to regular consumers. For example, air-purifying respirators may be required as well as a means of decontamination and easy access to toxic waste disposal. They may employ methods you’ve never heard or thought of because they have lots of experience with pest removal. They’re also better at finding out how mice are getting in because they know what signs to look for and the types of areas that are attractive to mice. If mice have invaded the ductwork of heating and/or cooling systems, leave that to the professionals. Again, some viruses carried by mice can become airborne even without the help of systems that shuttle air throughout your home. Some organizations actually recommend that you don’t apply poisons yourself and call an exterminator when you reach that step. The dangers outlined here are very real and, as mentioned, professional exterminators do have proper training and more experience. Mouse infestations are a serious problem, one that requires swift and decisive action. They harbor diseases, contaminate food, and can cause damage to homes. In this article, we’ve detailed how to recognize a mouse infestation, how to identify the type of mice you’re dealing with and the steps you need to take to control your mice problems and prevent their recurrence. Sanitation and exclusion are the first steps and they are essential. Follow them up with population control in the form of traps, poisons, or both. We’ve provided alternatives to killing, though it may be the best course of action given that mice released into the wild are likely to die anyway and if they don’t, they could come back to set up shop in your home again. Remember that mice aren’t the only danger to your children and pets; both traps and poisons can have adverse effects on non-target animals. Follow the proper precautions and all labels. Good luck!